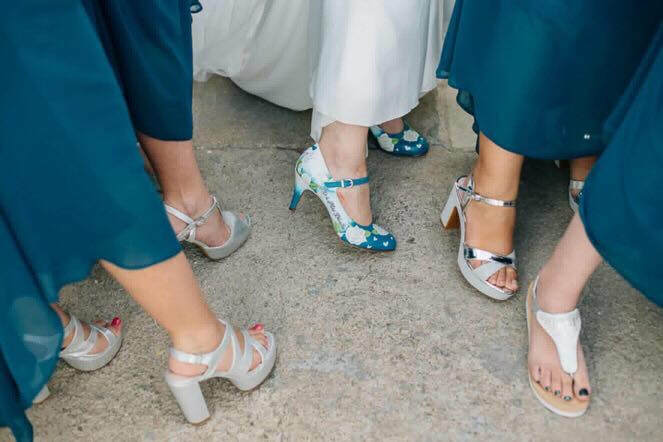 Hand Painted wedding shoes from start to finish! If you are wondering how on earth plain white shoes can become colourful works of art to wear look no further! 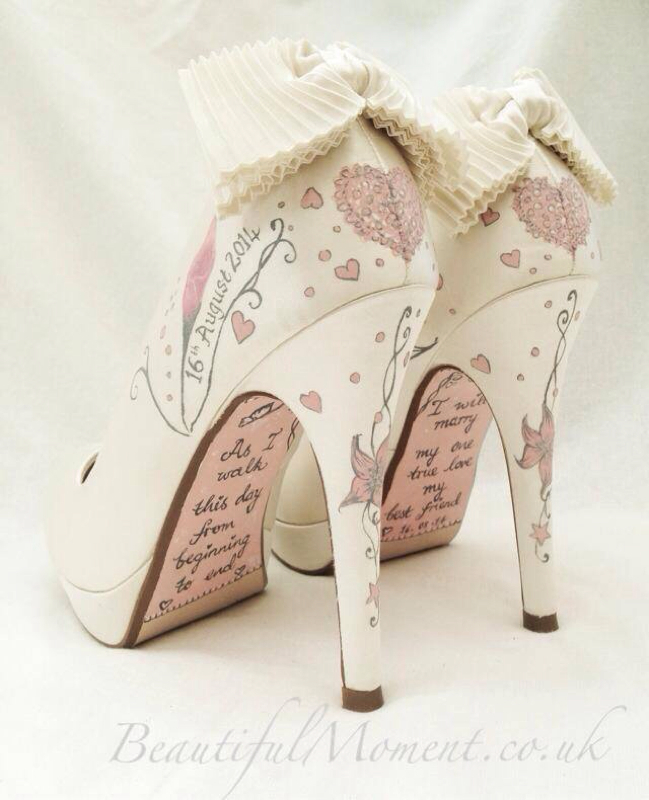 This short video shows the transformation of a pair of plain white leather Mary Janes into a complex design with roses, birds, wedding bands, and personalised script writing. This was a bespoke design, so after the initial series of emails etc to build the sketch and get it approved by the customer the creative part begins. The design is mapped out then specialist paint applied in layers to create the desired effect. For this particular design I started the teal colour as a deep block of colour and then transitioned it through the shoe to a lighter watercolour effect. This gave a natural space for the personalised writing. The roses and other details were worked up from basic shapes to the final more detailed image. The trickiest areas to navigate are the heels as the shape not being flat can be hard to handle but luckily a steady hand and years of experience painting helps. 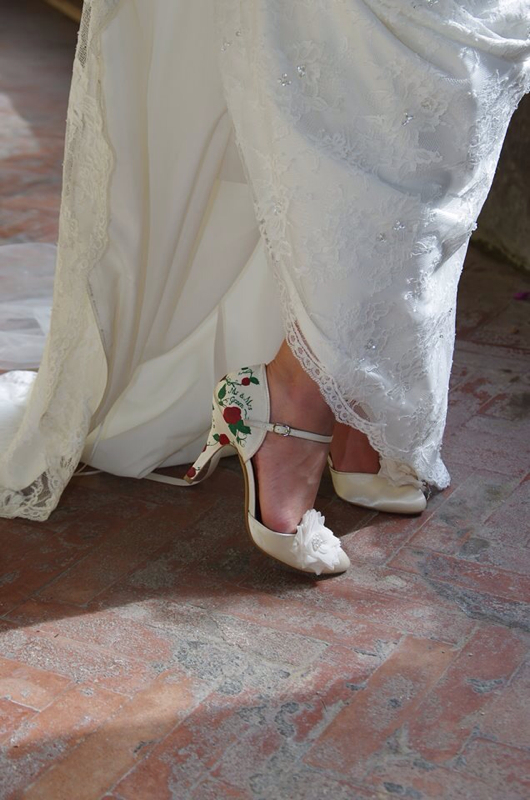 My Bride was thrilled with the results and sent me a lovely photo of her wearing her dream shoes on the day. Happy New Year! It's still January so I can say that! Well as a new years resolution I shall try to "blog" more with designs etc. But for now I will share this little montage of the 2016 designs I made. Enjoy! There are so many choices when it comes to your wedding and the dress and accessories are one of the Bride&apos;s most important statements. Yes, you will be the most photographed lady in the room (whether you like it or not!) so why not embrace it and go for something unique and creative in your ensemble to make you remembered! 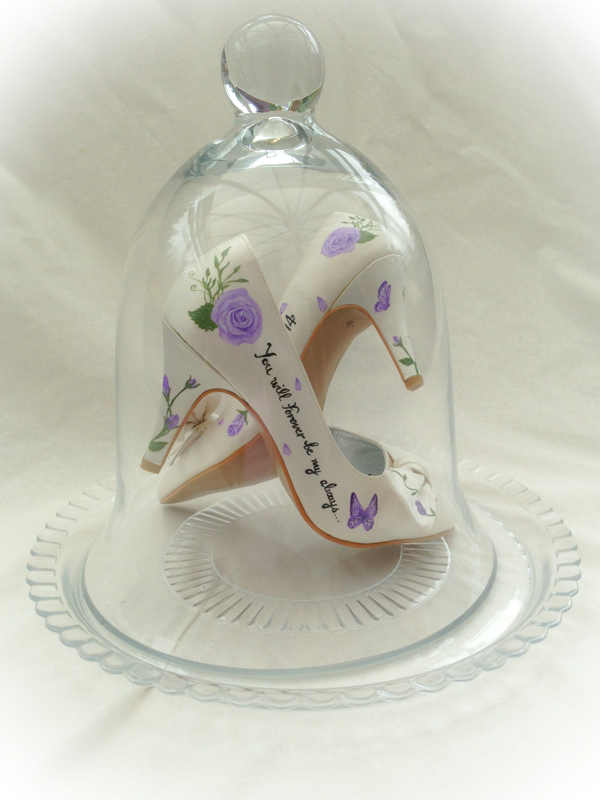 Having a Hand Painted design such as those created by Beautiful Moment not only provide you with a special pair of shoes to wear on your wedding day but they are also a wonderful keepsake. You can display them after the event in a box frame or glass bell jar or of course wear them on other special occasions or anniversary dates with your husband! There are few limits to what you can have design wise be it lace effects, vintage love birds or gothic skulls! Take a look at the design gallery on the website. For a whole host of design ideas and things to inspire you! 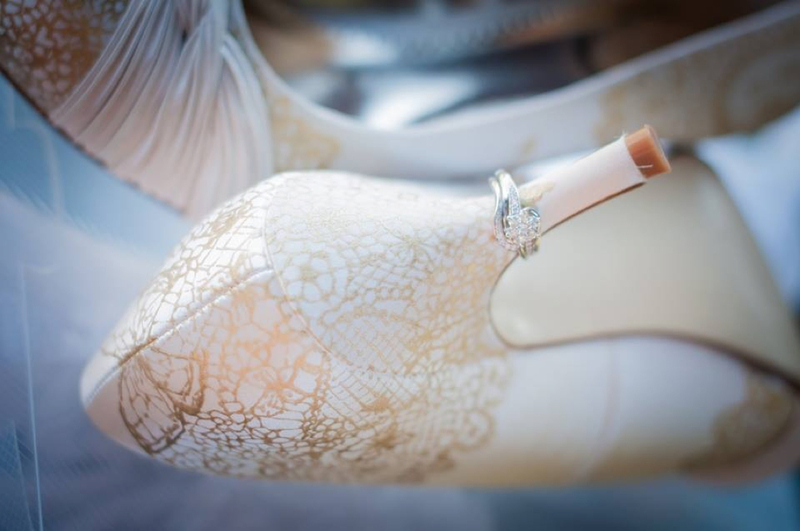 Just get in touch via the Quote Enquiry Form and your dream shoes can be a reality!